Owned by employees, our service to you is our own retirement plan. Nyhart is an award-winning company founded in 1943. We offer nationwide consulting, actuarial and administration services. We are 100% employee owned, a unique factor that makes the success of our clients important to every one of our employee-owners. We are 100% employee owned, which makes us different than 99.9% of business. Nyhart provides actuarial, consulting, and administrative services to 50 states. We provide services to over 2,000 clients nationally. Votaire users contribute 74% more to their 401(k) than those that don't use Votaire. Votaire users are 70% more likely to increase their HSA contributions. They are also 60% more likely to take additional supplemental life benefits. 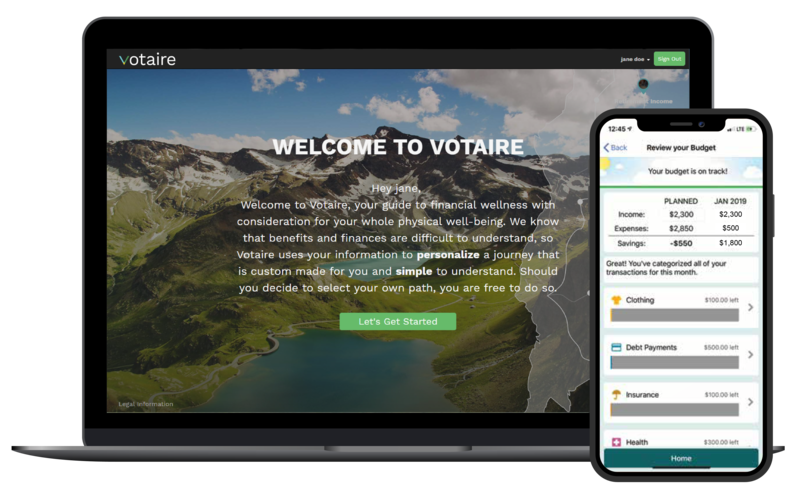 This means Votaire helps employees plan for their whole life, not just part of it. To learn more, contact Sam Weiss at sam.weiss@nyhart.com. Nearly 100 actuaries, employee benefit consultants, and administrators make up the Nyhart team. We are proud to be one of the nation's largest independent actuarial and retirement benefit consulting firms. Please select a location for area-specific addresses and phone numbers.